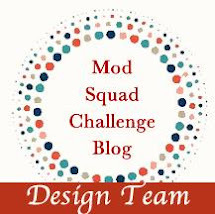 This week at Make It Monday, the challenge to you is to pick one of the weekly videos that you might have missed or did not get a chance to play along with and create a project using that technique or tutorial. I needed a quick birthday card today and this one fit the bill. So easy to do and it lends itself to a masculine card as well. This is Nicole Heady's #161 Watercolor Splats. I used water color paper by Tim Holtz and his Distressed Ink too. Then I put dabs of water for the spots. The greeting is from Wet Paint Stamp set by PTI. I am wrapping up my craft room for the trip to Florida. It is as much of a cleaning job as it is packing. I have forgotten most of what I have in my STASH! So much fun to reminisce, but not very effective when your trying to pack and take only what you may need. I think I need it all. Everyone have a Happy New Year, as you look back over the last year and see what has happened, and what will come in the new year. Remember that the new year is a brand new pallet for you to paint/stamp/color on! My daughter and family just love the movie ELF, and have watched it so many times. They wanted to have t-shirts with the sayings from the movie on them. Crafty Mom to the rescue! With the help of my Cameo, and a few trial runs, I was able to make these shirts for them to wear to holiday parties and family gatherings. I am only showing you three, as the fourth one is drying. When it is dry, I may added it to this post. I picked up bottles of fabric paint at HL and didn't notice that the green had sparkles in it, but that worked out fine anyway. I cut out the stencils on freezer paper and ironed them on the shirts, then applied paint. I may go into the t-shirt making business....NOT! As always thanks for stopping by, I got my ideas from Pinterest. Love it! P.S. I am not entering these in any challenge. Just so you know. I have one more post for the snowman challenge at The Mod Squad Challenge this week. This snowman from Art Impressions is so cute, and I saw Kristina Werner color him several weeks ago. Thanks for dropping in! I love to see all of the comments. I got the idea when I remembered an old stamp set from StampinUp. So I thought that I would have a little fun with this challenge. It is easy to add sparkle with glitter and I have to tell you that I am covered with it. As hard as I try to be neat, I still get glitter all over the place. 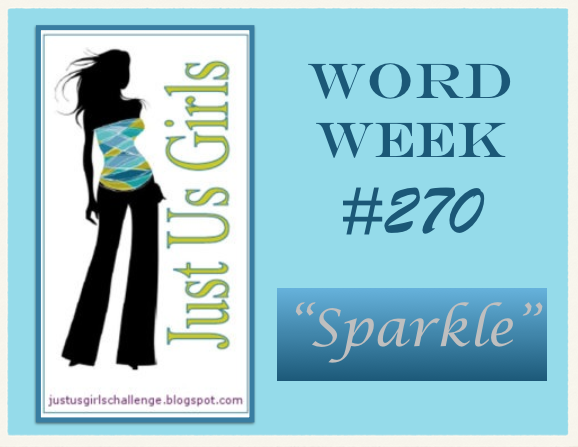 It's word week and the word is Sparkle! Well that fits so well with the Snowman challenge at Mod Squad. Once again I combined the two challenges and made one card. Here is the card that I made for these challenges. No one said that I snowman had to be assembled!!!! By the time I finished the card, it was to dark to photograph in natural light, so I had to take this with a spot light on it. No, I can't wait until tomorrow. By then, I will probably be on to a different project. This is the inside of the card. Now the snowman is all together and Missing You! There are lots of snowflakes in the air too. I used my StampinUp stamp set called, Thanks Snow Much. Along with a Newtons Nook set called Winter Tails. I colored it with my Copic markers. Of course the snow is GKD Frozen glitter. So sparkly in real life. The swirls are a die from Memorybox called Big Splash, but I think it also looks like snow swirling around. Snow can be red! Thanks for stopping by and leaving comments. I do appreciate them, especially this time of year when everyone is so busy. I hope your shopping is almost done and you can relax, and wrap gifts, and decorate the tree, and bake cookies, and make Christmas cards, and Phew! That's a lot! Here it is the last day of November. Where has this year gone? I have been busy with making cards and really enjoying life. Meeting new and interesting people and keeping friends. Wonderful time! This morning, I put away all of the Thanksgiving and fall decorations and put out minimal Christmas ones. Not too many, as we will have a busy month with family and friends and travel. I will not have much to put away when it is time to leave for warmer weather. The wind chill here today is in the negatives. Oh, and I have to mention the WIN yesterday for my team, The Packers. I love football and it was a great game. Hard fought and hard work, but they did it. Before the game started, I made this card for the Mod Squad challenge which required using music in your card. 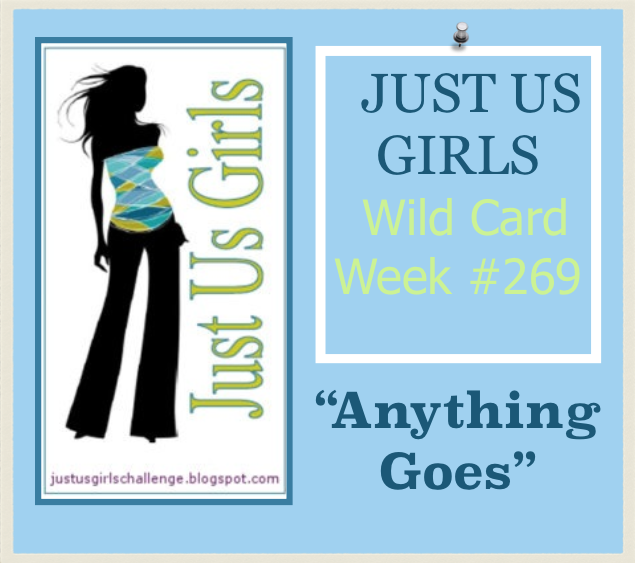 Anything goes at Just Us Girls this week, so I will be entering this card in both challenges. Here is a side view so that you can see the layers. more gold CS. All were die cut with stitched rectangles from Lil' Inker. I die cut the tree after stamping musical notes on it. I really wanted to put "O Christmas Tree" on the front, but had no stamp for that. Yes I tried a computer generated one, didn't look good. So I went with Merry Christmas from Wplus9. The difficult part was to take all of the negative cuts and pop them out with foam tape. This angle shows it better. This is the die that I got this spring at a craft fair. It is Ellentina cutting dies. The back of the package says Tessler Crafts. I have not seen them before or since. Next time, I may cut out two different greens and just pop them together, because cutting all of those little pieces of foam tape almost made me nuts! Thanks again for dropping in. I wish I could serve coffee and cookies, it is that time of year. 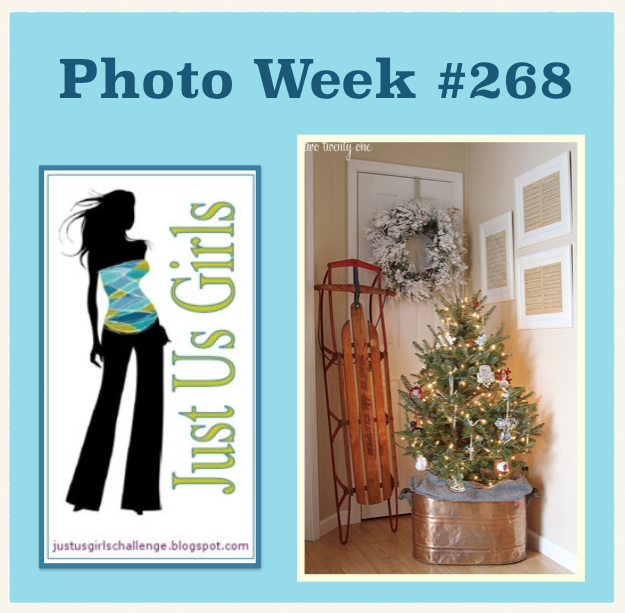 It's a Photo Week, and isn't this photo perfect for the holidays, as it has so many inspirational elements. My eyes when straight to the sled. I have not added a sled to any of my cards as yet, so that is what I decided to do. We had a sled just like this one, and all four of us kids shared it. I wonder what ever happened to it. Take a look at what the girls at, Just Us Girls did with this photo. You will be inspired just like I was. This is a busy time of year, but just one more card, you can do. This card did not take me 5 minutes to make. More like all afternoon. But it really sparkles! Thanks for stopping by to look today. Hope you have time to be creative too. My friend Sharyn Polesel is hosting the challenge this week. She has chosen some unusual colors this challenge, Red, Turquoise and Gold or Yellow, along with neutrals. I am going to share two cards here today. The first one that I made really didn't have enough red in it for my taste, so I made another. Here, I started with a base of gold CS from Stampin Up. The next layer is Turquoise Sea from GKD. I heat embossed that with gold, using the Hero Arts, Highline Ironworks BG stamp. A border on the top was made with my Spellbinder border die. The beautiful bow is from Flourishes and colored with copic makers. R 24, R 37, R89. There is red Wink of Stella all over that bow too. The tag is from the same set, It's a Wrap. Sorry, no longer available. The next card is the first one and I felt that the little bit of red, was not enough. See what you think. For this card, I started with Turquoise Sea for base and added white that was embossed with Anna Griffin Cherry Blossom folder. I inked the folder with Turquoise sea ink before embossing. Winston the bear is rolling on a snowball and he is from Winter Tails by newton's Nook stamps. I made the panel with the sentiment from teal foil and Stazon ink. There is lots of Frozen glitter from GKD. see all of the sparkle. Here is another view of Winton and his snowball. Well, now it is time to pick one and enter it in the contest. Wow, this is harder than I thought. 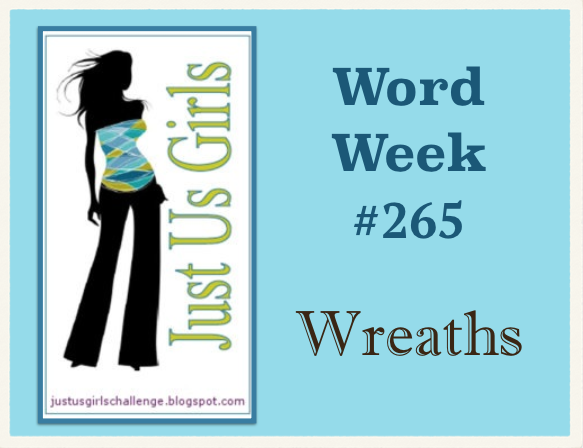 I pick the card with the red bow to enter in the Just Us Girls Challenge #267. Thanks for stopping by and I do welcome any comments. I was looking at the inspiration picture for the Dazzling Diva Challenge, and got the idea to use the stocking hung on the mantel for my inspiration. If I made it into a tag, I could enter the Mod Squad Challenge hosted by my friend Karen Hightower. If I added some stars, it qualifies for the Simon Says Wednesday challenge too. I started with some gold dotted paper from last year's, Simon Says Christmas kit. Then made a mantel using only part of the Grand Flower Box die from Poppystamps. The sentiment is embossed with white, and is from GKD Seasonal Labels. The stockings were stamped with black Stazon ink onto Gold foil paper and then I added some gold and red stickles to them. I made a die cut border on the bottom and then added the red stars. You can see how this turned out here. I see that my mantel is a little out of line!!!! I will fix that, after all it is handmade, not Hall Mark. Thanks for dropping in to see what I have done. Have a great weekend. I am headed off to visit my son and daughter in law this weekend. I will be bearing gifts and cookies. What more could they want? 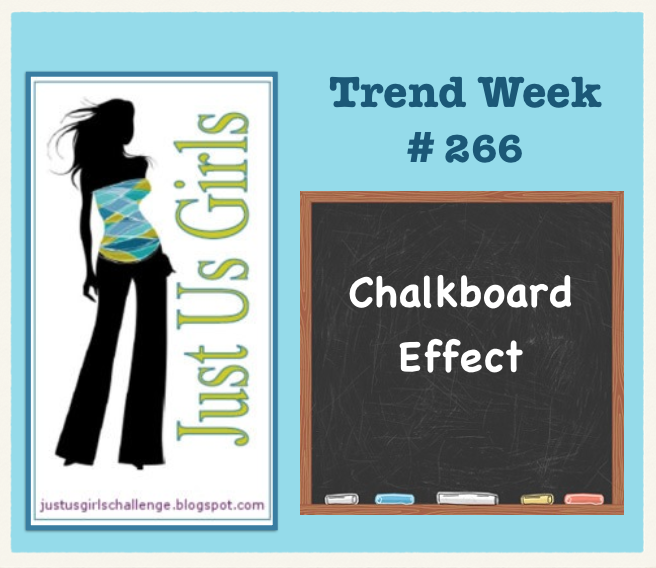 It is Trend Week and as you can see the challenge is Chalkboard. I wanted to use this cute bear that I am pretty sure I got from Whipper Snapper Designs and I thought the chalkboard effect would be interesting. I really like how it turn out. I made it a Christmas scene, by stamping a gift, from GKD, Just a Little Something. Die cut a cardinal on top. He is stamped in White GKD ink on to Christmas Pine CS. I used a design from Warm Woolen Mittens to stamp the design on the white card base. On the vellum strip, I printed the word Beary with a Versamark pen and heat embossed with platinum powder. A wooden snowflake with a silver bead was add to secure the strip. I found that I could use a double sticky tape to secure the other end of the vellum without it showing. I think that I will make him into another card and he will be a pull out ornament. Or maybe a tag.... oh the possibilities! Simon Says Wednesday, Thinking of you. Today, the class was focused on tags and tags is what I worked on. I used the spellbinder die and the PTI bookmark die to cut these tags. Each tag has a die cut in it. A piece of Design paper was placed behind. Holly for the two outside ones and snowflakes on the middle one. I used holly cuts to decorate the middle one, after sponging to make them look older. Added some more embellishments to complete the look. Once planned out, I could make many more. But why, when I can make new more original ones. I guess I just don't like to make duplicates. Thanks as always for popping in, and any comments are really, really appreciated. I made this little 4 inch square card using a doily and background paper that I recently got in a grab bag. I sponged the doily with distressed inks and cut out some of the flowers and leaves that were in the background paper. On the top and bottom of the doily, is part of a die called Bookmark Tag from PTI. I sponged that with copper 3D paint. Added some twine colored to match and small blue pearls for the berries. The greeting is from a Flourishes Stamp set. Unfortunately retired. I am entering this card in the Mod Squad Challenge. Donna Phelan is the hostess this week and she has decided that we go to Grandma's Attic and use a doily. Simon Says Wednesday Challenge, Thinking of You, a dedication to the service men and women who have given their lives in the line of duty. Holiday Card Workshop 2014 class that am taking. I made another ornament card that I didn't get a chance to post from Day 2. I will be making more of these, one for each grandchild to hang a special ornament on the tree. This is my attempt at watercolor. Since it is freehand, it is not my favorite. It doesn't get any better IRL either. This one has possibilities. I actually stamped the trees instead of using a stencil. It is still a one layer card. I much appreciate your comments and taking time to peek at my blog. This will be a quick post as it is my second one today. I know, I played all day today, but tomorrow, I will not have time. So I am taking advantage of the opportunity now. This is a card inspired by Jennifer McGuire. The card in interactive in that it has a pull out keepsake ornament in it. I used the stamp set form Gina K Designs called Mistletoe Memories. I stamped a linen backgroung and embossed with clear. That is what gives the texture to the stamp. It is a simple card, but the best part is the pull out ornament. You can put a family picture on the back or just write your name and the year. Maybe I will give this to my Grand kids to give to their teacher. Hmmmm? I had a picture of the card with the ornament pulled out, but I can't get it upright. It just wants to lay on it's side. You will need to use your imagination. There were several examples of interactive cards. I picked the one by Kelly Alvarez. Her card was really cute and there was a lot of planning that she put into it. The hardest part of this card was to find a stamp set that would work and not be too difficult. I used my Melanie Muenchinger stamps, she is a designer for Gina K. Designs. Her sets are Beyond Baskets 2 and Basket Additions. They are made to work perfectly together. Here is a view of the card when you pull up the tab. The greeting Merry Christmas now shows. After coloring the images, I used some Wink of Stella in gold and red and clear. Then punch out some red foil snowflakes to add to the front, being careful to place them out of the way of the pull tab. Thanks for visiting my blog and I sure do appreciate any comments that you leave. 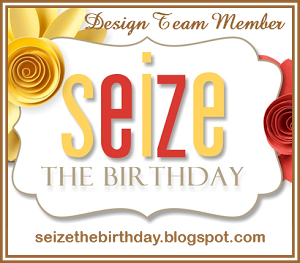 I am taking the online card class today and although it has been a busy day, I was able to make this card. Since it has a lot of die cuts, I think it would be easy to make q few at a time. Then it is just putting it all together. I really like what Debbie Hughes did in class and here is my take on her card. The dies that I used are: tag from Spellbinders, Joy from PTI, small Snowflake from SSS Christmas Kit last year, and the large snowflake is done on my Cameo. I embossed the base with Swiss Dots and after cutting the other dies, I heat embossed the bottom of the tag and the large snowflake with Silver Embossing Tinsel by Ranger. The small snowflakes and the JOY are cut from foil CS. As always thanks for dropping in and I really enjoy hearing what you think. Since I am making Christmas cards, this challenge is a must to enter. A wreath is so appropriate for a Christmas card. So I started looking through my stash for a wreath. I bet you guessed it, no Christmas wreath. I have flower ones but no evergreen ones. Well, I had this cute as a button snowman, that would look perfect peeking out from a Christmas wreath. What do to!!! Yep, make one. Oh, sure, how many times have you said that? "I can make it!" Will on my second try, I got it. I used a Stampin Up, leaf set with GKD inks. Grass Green, Fresh Asparagus and Dark Sage. I stamped around in a circle and put the snowman in the center. I really don't know where he came from, but he is old. The green DP is from GKD as well as the Ivory base. The greeting in embossed with silver on to the banner. Did you notice the snow on the wreath and his hat? That is White Flower Soft. There is red Wink of Stella on his scarf. I do appreciate your dropping in and any comments that you leave. It's a Blue Christmas at the Mod Squad this week. I had an idea for a card and a stamp set that I bought last year and have not used yet. When Flourishes closed their door, I bought quite a few sets and Snow globe, from Joy is in the Air set, was the one for this card. First I will show you the card. I used the Turquoise Sea CS and Ink from GKD. I stamped the leaves with an old stamp set from Stampin Up, with White embossing powder just around the edge. The bottom of the globe and the snowman, is stamped with black ink. Then I cut a mask and flecked in snow for this look. when I was putting the stamp set away, I noticed that there was a "snow" stamp, so I really didn't need to make a mask. I do like this random effect though. On the side I added a strip of blue foiled paper. You can see the foil paper better in this view. I started out this year with the idea that I would find an easy, but unique card to make for all of my Christmas cards. Instead, I have made many different ones. There are so many ideas out there, who wants to make the same card twice. Right? Thanks so much for your visit today, and thanks for any comments that you care to leave. Snowflakes, Neutral Colors and Dry Embossing! Well I thought that I would try another challenge for the first time, since I am rocking out Christmas cards. It is nice to have some direction. This Challenge wants you to use neutral colors and snowflakes and dry embossing. Here is the card that I did using that direction. I dry embossed the base with a snowflake folder from Cuttlebug. The top layer is die cut with my new Scalloped Borders Two. I actually cut two borders and layered one on top of the other. It looks nice, and I will probably be doing more of that. Next I cut snowflakes form vellum and used Sticky Stuff embossing powder and Ranger Distress Stickles. I placed a pearl in the center of each one. Such a different Christmas in this color, but I think I like it. I will be entering this card in the Simon Says Wednesday Challenge, anything goes. Thanks as always for stopping by and I do appreciate any comments. 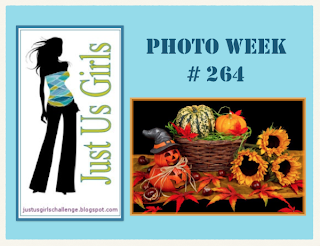 It's Photo week at JUGS Challenge and take a look at the picture to inspire you. I have been making Christmas Cards for several weeks now, and just to get a refreshing break, I made a card for this weeks challenge. Back to the fall colors that are so fun to work with, it is a big temptation not to enter. So right to the card. I think that I got everything in the photo into this card. Lol The flowers, leaves and pumpkin and gourds too. Various dies and 3D copper paint and Brads along with Glossy Accents complete the card. Take a break from your Christmas card making marathon like I did. There is still time to enter. I am also entering this card in the Simon Says Wednesday Challenge, Anything Goes. 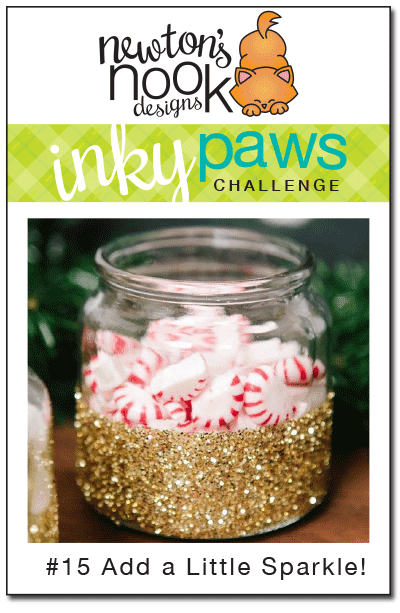 For this challenge we are to add a little sparkle, well, that is no problem! If there is no sparkle on it, there is no Pizzazz! I chose to make a Christmas tag with Newton and the string of lights. He is so cute all wrapped up in the string. He is from the stamp set, Newton's Holiday Mischief. I used the Bookmark Tag from PTI and cut out a larger outline in black CS. Then added the sparkle with some glitter paper from my stash, and snowflakes punch out of the same paper. Newton is colored with Copic markers and there are stickles on the lights he is all tangled up in. I fuzzy cut him out and added the image to the tag. The sentiment is from the same set. Boy, if my camera could only capture the sparkle. Thanks for stopping by to take a peek. I am really working on Christmas Cards and Tags this year. I tried my hand at Partial Die stamping today, and it is quite easy. Just stamp onto paper and then cut out the die, showing only part of the stamp. In this case, I stamped the Harvest Berries from PTI, in Cranberry Tart ink, from GKD and cut out the JOY die from PTI. That was placed on a base on Cranberry Tart and layer of Ivory CS from GKD. The Ivory layer was dry embossed with a folder and sprinkled with white glitter. I cut out 3 snowflakes from vellum and sponged them with the same cranberry ink. I added some pearls to the snowflakes and the corners to finish. Of course, the glitter does not show. But thanks for stopping by and I do appreciate your comments. 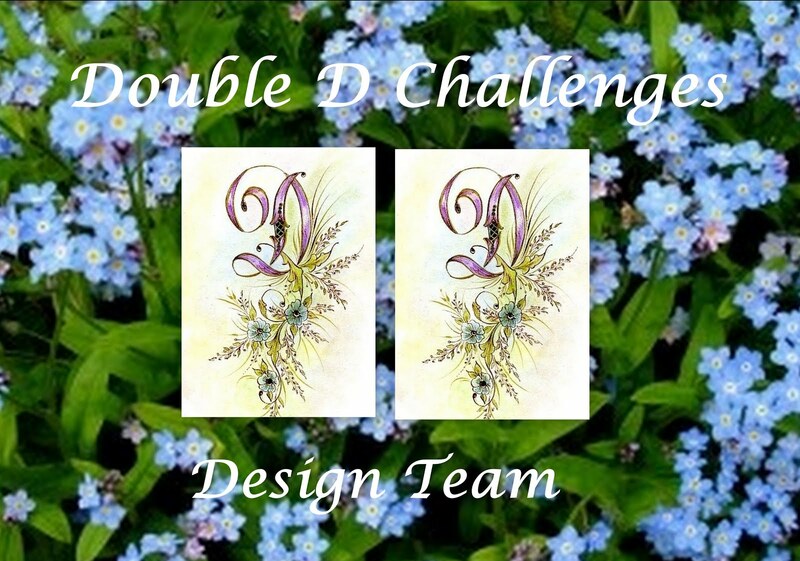 I am entering this card in the Make it Monday #186 Partial Stamping challenge. I have made this card today from a memory a long time ago. During a winter storm I witnessed a lone red cardinal clinging to a bush in our backyard during a winter storm. Poor thing, that storm caught us all by surprise. 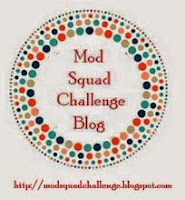 Judy Woodland is doing the challenge at Mod Squad this week and she has requested that we do our favorite kind of card. For me that means a special card with some special meaning. Like this one, and if it has sponging on it more the better. I love how you can create effects like a snow storm, or a soft sky, the beach, or a background. I did have trouble making the falling snow. I was getting big splashes' instead of the ones that I wanted. I put out an alert to my friend Karen Hightower and, as quick as a rabbit, she came back with an answer for me. Use a paint brush instead of the toothbrush I was using, and it worked. I love how this card came together. In my card,, I used three red cardinals because only one is too lonely and sad. Ink, GDK Black Onyx and Cranberry Tart and Distressed ink, Pumice Stone, Weathered Wood and Salty Ocean. For the snow, I just put some white acrylic paint on a clear block and spritz it with water and used the paint brush. I am entering this card in the Mod Squad Challenge, It's My Favorite. Simon Says Monday Challenge, Anything Goes. This is just a wonderful time of year, You can make fall cards, or get a jump on your Christmas cards. it's your choice. Thanks for stopping by and I do appreciate your comments as always.